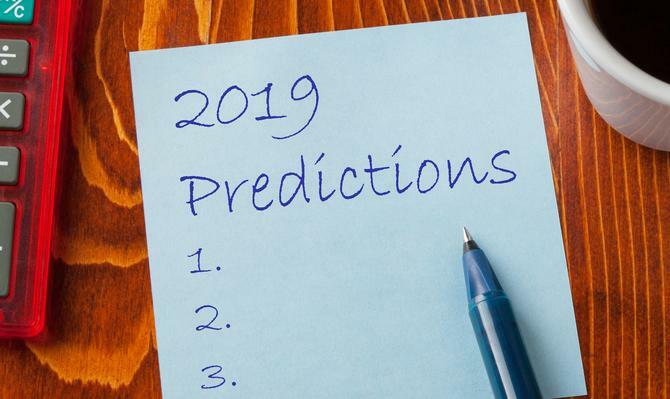 What does 2019 hold for digital marketers, and marketing generally? We ask a raft of industry experts from the marketing technology and industry community to give us their thoughts on 2019 and beyond, and what marketers will need to know moving forward. If there's one thing about marketing that can be said to be constant, it's that it always changes. With new technologies, such as voice, artificial intelligence (AI), machine learning, virtual reality, augmented reality, natural language processing and facial recognition becoming mainstream, it can feel as if marketers are always chasing their tails. Add to this the constant, and very ad-hoc, data privacy protections going up almost by postcode, the marketing path is a difficult, and volatile, one to be treading. So what does 2019 hold for digital marketers, and marketing generally? We ask a raft of industry experts from the marketing technology and industry community to give us their thoughts on 2019 and beyond, and what marketers will need to know moving forward. It is clear consumers are well aware of their rights when it comes to proper data collection and usage. What's also clear is the arrival of GDPR in Europe in May 2018, as well as other data privacy acts being implemented and overhauled around the world, are just the beginning of further consumer data crackdown. In fact, in its recent report, the ACCC flagged changed to the Privacy Act, which could end up looking like a local GDPR. As a result, Australian businesses are going to have to get a lot more agile and transparent in the way they collect, store and use customer data. Even if data is used for consumer benefit, a privacy breach will see consumers move elsewhere. As Facebook and Cambridge Analytica demonstrated this year, a company is only one data breach away from disaster, and no company, no matter how big, can afford this in a consumer-driven environment. “GDPR, Cambridge Analytica, and data breaches have shed light on the global concern consumers share around who owns their data, how they’re using it, and why,” Spredfast and Lithium CTO, Raju Malhotra, told CMO. At the same time, data is key to building stronger brands, for smarter targeting, combined with digital creativity. “Trust and privacy will be an even bigger challenge in media; so, as marketers get to grips with GDPR, a pull-back from hyper-targeting practices will continue with more emphasis on attitudinal and contextual targeting," Kantar executive director of media and digital, Mark Henning, forecast. "Marketers will need to get intimate with trusted data by using their own or key trusted partners and focus on measuring its effectiveness to ensure it delivers on the targeting promise and impact." With data the driving force for all business decisions – from marketing to sales and beyond – Tealium CMO, Adam Corey, said an added challenge is lines blurring around technology ownership. This has led to a real fight for control between marketing and IT departments. “We hear the word collaboration a lot, but there’s a distinction between being required to work with certain vendors, colleagues and suppliers, and actively choosing to. However, against a backdrop of new data regulations and privacy concerns, in 2019 the customer will be rightly placed front and centre and strategies will be focused on the individual, rather than on separate, disjointed channels," he said. In 2019, Corey expected companies to continue to refine their approach to handling data, as well as adopt Customer Data Platforms, helping them realise the positive impacts of connecting cross-team silos against their business objectives. Spredfast and Lithium CMO, Katherine Calvert, also believed the ever-expanding reach of technology companies has resulted in growing privacy concerns from consumers. “At the same time, consumers are expecting brands to meet them wherever they may be across digital platforms. With the spotlight on privacy and data as the new currency, smart brands will find ways to bring their customer engagement off of other platforms, and on to their own,” she said. Marketers have known for a while now that the customer must be central to every decision made within a business, meaning brands have been working for consumers. In, 2019, industry pundits expect to see the consumer working for brands as well. For Calvert, customer capital is the new currency. “2019 will be the year brands leverage their social capital with consumers to help drive sales, answer questions, and act on the brand’s behalf in times of crisis,” she said. “Digital social capital is a way for a brand to understand the value of its online social networks. Just as greater amounts of economic capital can lead to more opportunities, higher amounts of social capital can lead to a more significant impact on a brand’s audience. “When a brand has more social capital, its community members are more likely to act on the brand’s behalf - think expressions of brand loyalty and communications that promote brand awareness." It should surprise no one that communities now own the Internet, Calvert continued. "We all know the horror stories of a brand losing the narrative and facing the wrath of the Internet. At the same time, communities are the driving force that builds brands into cultural icons," she said. "Consumers crave authenticity and brands must deliver that authenticity if they hope to create real meaningful relationships with customers. As customer capital becomes the key strategy, Malhotra also saw the walls between marketing and customer care finally coming down in 2019. “The term 'social customer service' is not often at the forefront of marketing discussions, but customers don’t see a difference when receiving marketing or care from your company,” he said. Managing director, Asia Pacific emerging markets at LiveRamp, Dean Capobianco, said the marketing ecosystem will go from data-driven marketing to more people-based marketing and put customers at the centre of marketing. "Australia boasts a sophisticated advertising market and is maturing very quickly towards people-based marketing. We’re experiencing increasing demand from marketers who require people-based data in all channels, and as quickly as possible." Marketing technology platforms and utilisation has been evolving and deployed at such a rapid rate that larger organisations have wound up with multiple platforms for multiple purposes. In addition, the disconnect that remains between these and other enterprise systems has made a single view of customer difficult, if not impossible. Across the industry, many expect 2019 will be a year of consolidating martech, a move driven by ease of use and cost effectiveness. Calvert also expected enterprise companies to shift focus to owned platforms, where they can manage risk more closely while maintaining control over the insights from customer data, cutting out the middlemen.